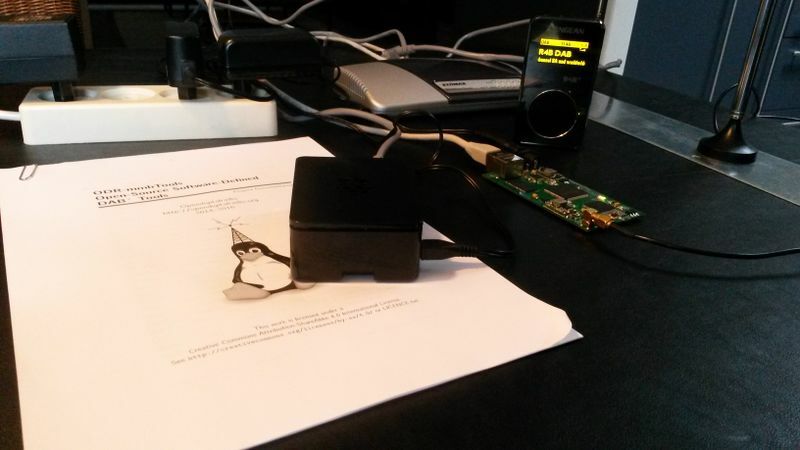 A practical guide for an ODR-mmbtools automated DAB+ micro transmitter using Raspberry Pi and EasyDab v2. May also be useful for other Linux based installations. This project aims to provide documentation how to build such a 'micro transmitter' which could be used as the starting point for a low cost DAB+ transmitter for e.g. local radio. It is based on experience from building a system, starting from getting the Raspbian operating system installed, installing the OpenDigitalRadio programs required, configuring and using these, installing supervisor to enable automatic start up and configuring and using the EasyDAB v2 DAB modulator board. This page was last modified on 6 July 2017, at 19:37.